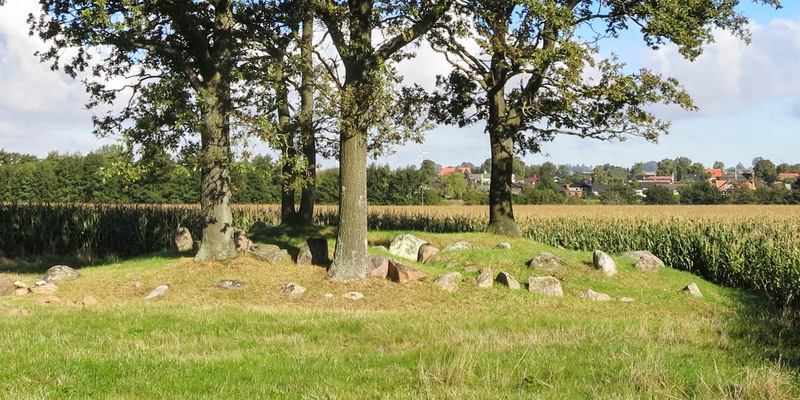 Danshögarna is a collection of three Neolithic megalithic graves near the town Kävlinge, a little west of the village Västra Hoby in the municipality of Lund. 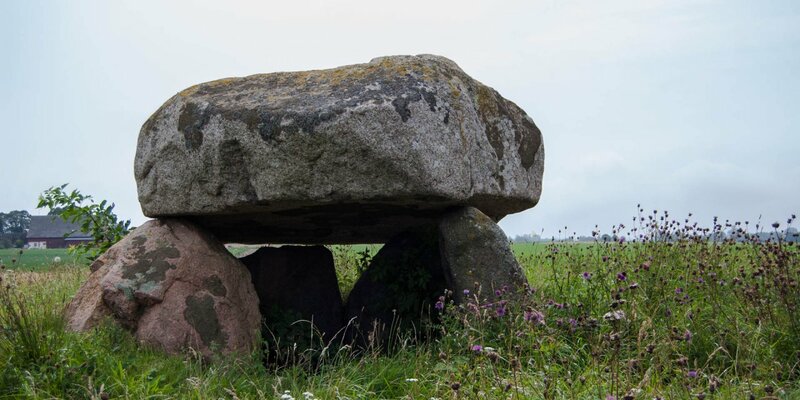 Danshögarna consists of two long dolmens and a passage grave from the megalithic culture (3,500 to 2,800 BC) and ist located about 150 meters from the road in an open field near the river Kävlingeån. 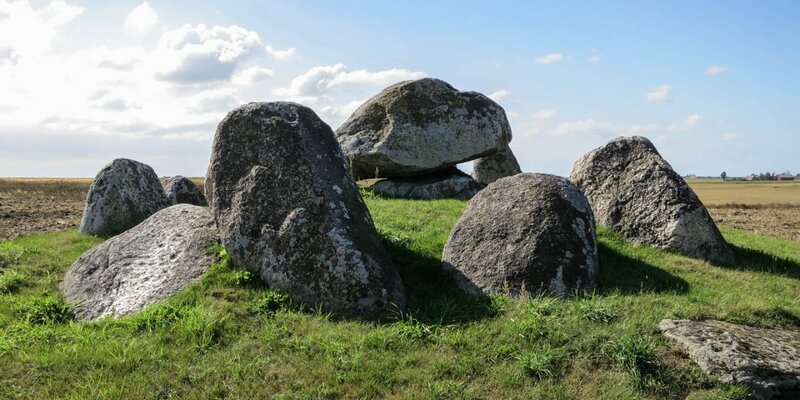 The larger of the two dolmens is a rectangular hill, 53 meters long, 13 meters wide and about 2.4 meters high. 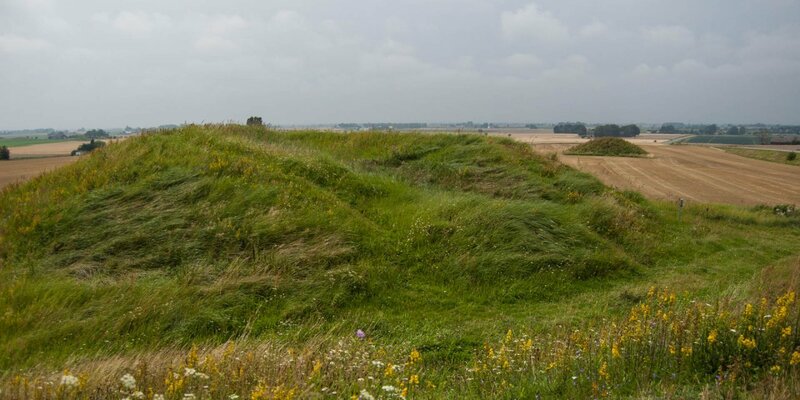 The outer border of the mound consists of 37, mainly vertically arranged edge stones of different width and height. The dolmen is closed and a burial chamber is not visible. The rectangular hill of the smaller dolmen is 23 meters long, 12 meters wide and only 1 to 1.5 meters high. The sides are flanked by seven squat stone blocks. During an archaeological investigation carried out in the 1930s, a small burial chamber was found in the middle of the dolmen, surrounded by a rock circle with a diameter of 5 meters. The passage grave is located in a 15 meters long and 11 meters wide hill, which is bordered by 15 stones. The open grave chamber, whose cover stones were removed around 1850, is 6.3 x 2.1 meters in size and is formed by 13 vertical stones. From southeastern direction, a low and about 5 meter long passage leads into the burial chamber. The excavations on the previously untouched passage promoted not only large quantities of clay shards, but also amber beads, stone axes, arrowheads and a dagger.